When choosing digital marketing company to work with, that specializes in law firms, a smart business owner needs to consider multiple factors: experience in the industry, previous client success stories, technical skills, but most importantly the ability of the marketing specialists to create top-converting legal websites. If you have a website that makes people fill out your contact form or call you, you’ll enjoy a high marketing ROI and quick growth. On the other hand, if your website doesn’t resonate with potential clients, you will lose time and money on advertising only to see prospects exiting your web page and calling your competitors. It’s time you transform your website into a 24/7 sales rep and our Chicago based legal marketing specialists would be happy to help you achieve that. Web visitors take 0.2 seconds to decide whether to stay or leave a website. 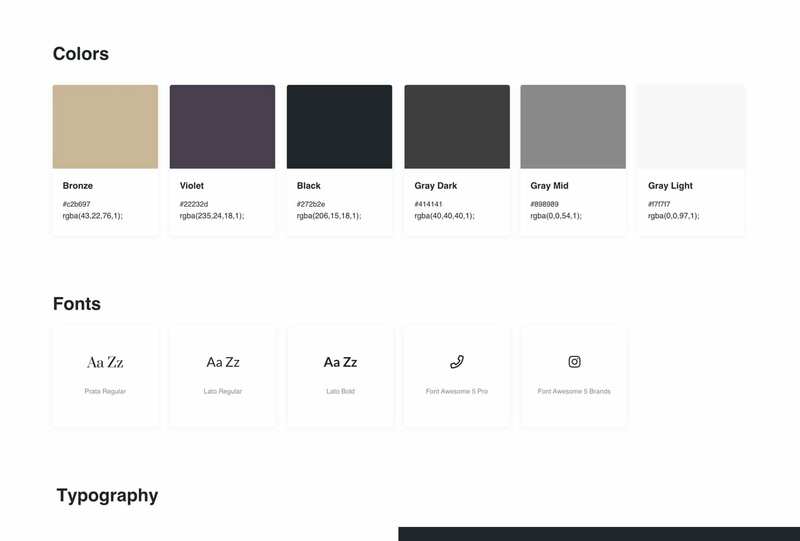 While your website content is important, this very first intuitive decision is all about design. The colors you choose have to compliment each other and never stand out over the content. You can also use them for the emotional effect they bring. Blue, for example, is related to trust and green is often associated with financial success. 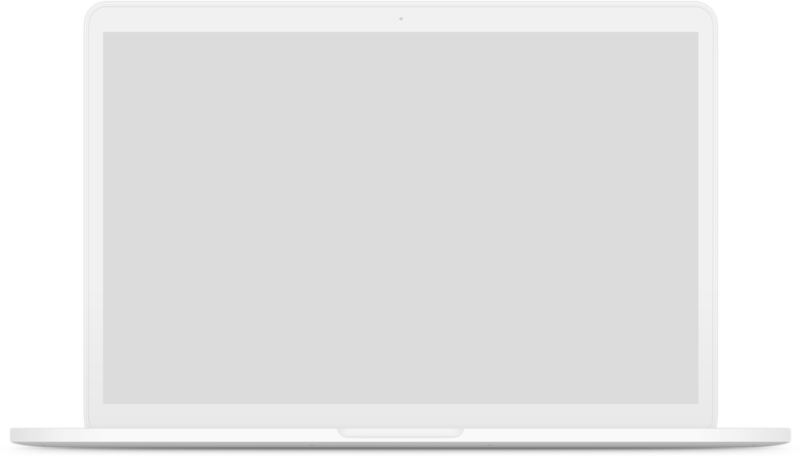 The font you choose plays a big part in text readability, plus it carries a visual message that could position your brand in a certain way. 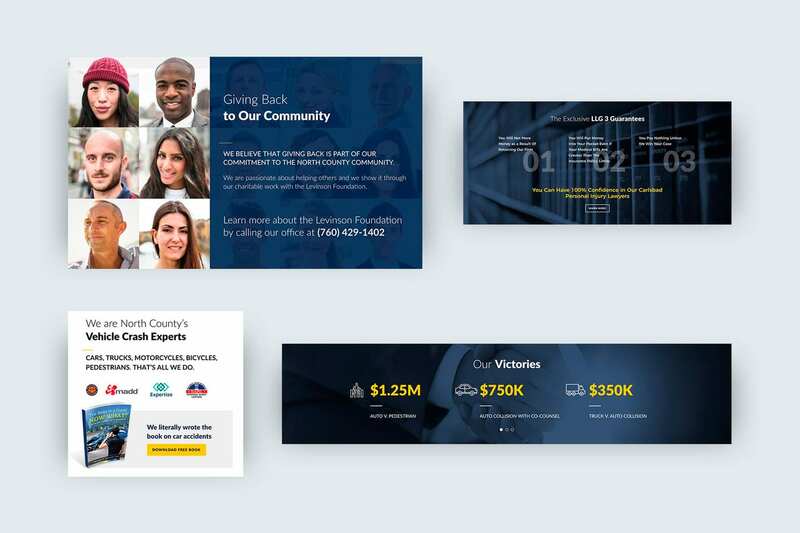 A linear layout is another web design choice we usually recommend to law firms — it allows prospects to go smoothly from one step to the next so you can eventually get them to contact you. Creating a strong emotional impact by using the right image could increase your website conversion rate by over 40%, according to A/B testing done by a premium marketing agency. A lot of law firms like to use automatic image sliders on their home pages, but at Comrade, we’ve discovered they are not nearly as effective as a hero image. Image sliders can be boring or a bit too much, while a hero image is simple, to the point and gets your message across. Videos are another great way to get closer to your clients, especially if you use them to answer some of your prospects’ more complex questions or to present your services in a simple way. We also never forget to use visual cues for further reputation building such as, logos of previous clients; images of your Yelp or FindLaw ratings, logos of reputable media channels that have featured your company and others. 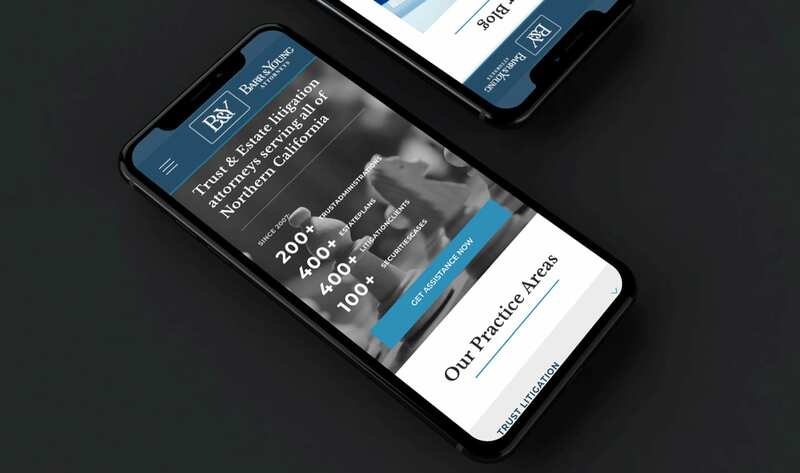 Since more than half the people browse the internet on their mobile devices, not having a mobile friendly attorney website means literally losing half the traffic you could be getting. Comrade’s Chicago based web developers ensure your media items, as well as all functionalities your website offers are easily accessible to mobile users. What you put above the fold (i.e. 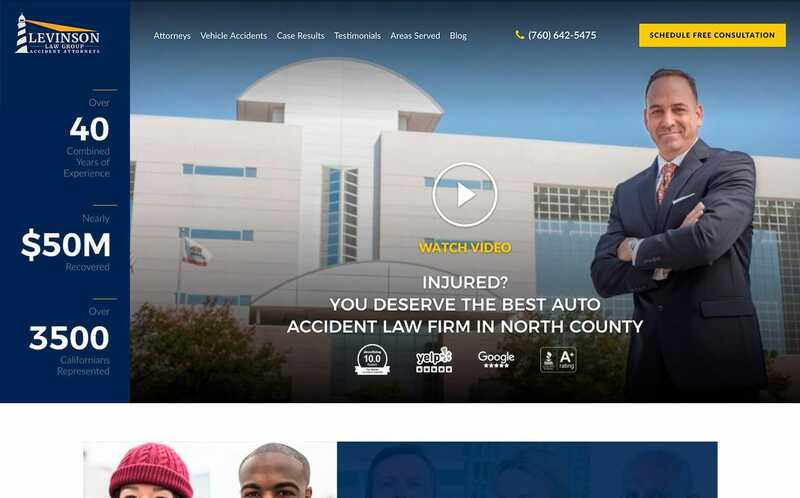 the top of the page before the visitor has to scroll down) on your attorney website is incredibly important because that is the first thing that people see when they land on your home page. 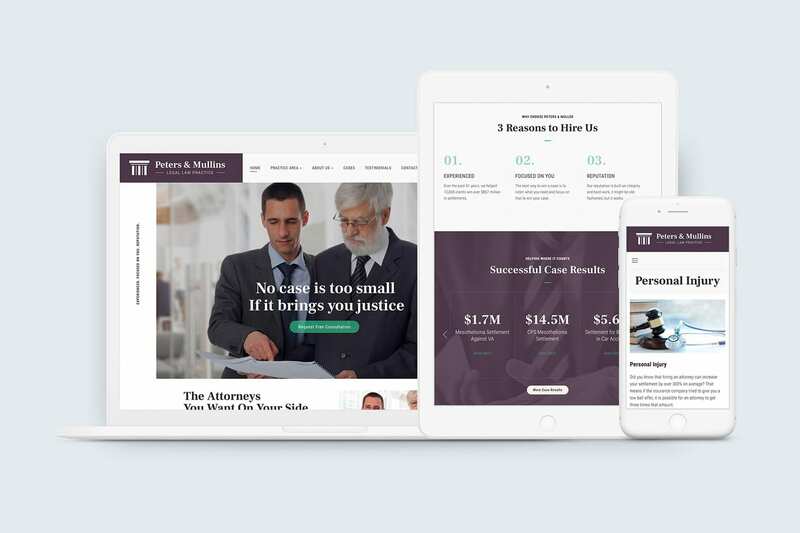 When we build websites for attorneys, we ensure that the above the fold items include a memorable logo, contact number, value-adding headline, intuitive navigation menu, concise sales copy, stunning hero image, clean & clear layout and a strong call to action. List of key benefits: There is a difference between listing benefits and features, and benefits are what your potential clients want to see. Examples of such are “we will not get paid until we win your case”, “10 years of legal experience” etc. Team section: Having a clear ‘Team’ section which showcases the faces and names of your attorneys will do wonders for conversions. This personal connection is vital to building brand trust. Making Yourself Available: You want to minimize any barriers between the customer and your practice. This means your contact information such as your email address, telephone number, and office address, should be easy to find, if not visible on every single page of your website. This not only makes it easier for customers to reach out but implies you are a legitimate business with a physical presence. Video testimonials and/or case studies: An obvious credibility building factor that’s often being overlooked. At Comrade, we always make sure your web visitors have easy access to testimonials and case studies, so they see how you’ve helped others solve the same (or more complex) problems. 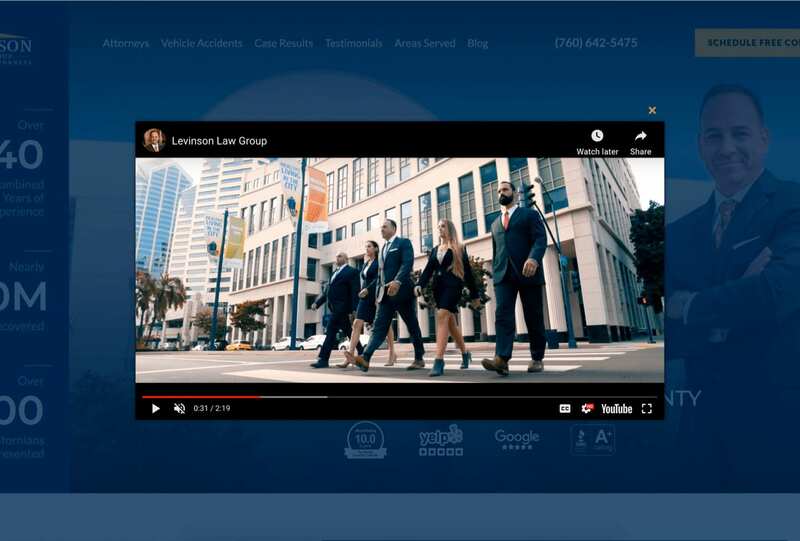 In their strive to offer a lot of content, many law firms forget that an excellent user experience starts with having a secure and fast website. Invest in the technological improvements you need in order to offer your potential clients great user experience and a peace of mind with regards to their personal data. You should know that if your website takes more than 2 seconds to load, each second increases the bounce rate. Another functionality worth implementing is a modern chat system, which is a step up from a good contact form. Either way, your website needs to provide a clear and compelling call to action and you have to take every opportunity to put this call to action in front of your visitor. Don’t forget to take as much contact information as possible from every lead, but at least taking an e-mail is a must. 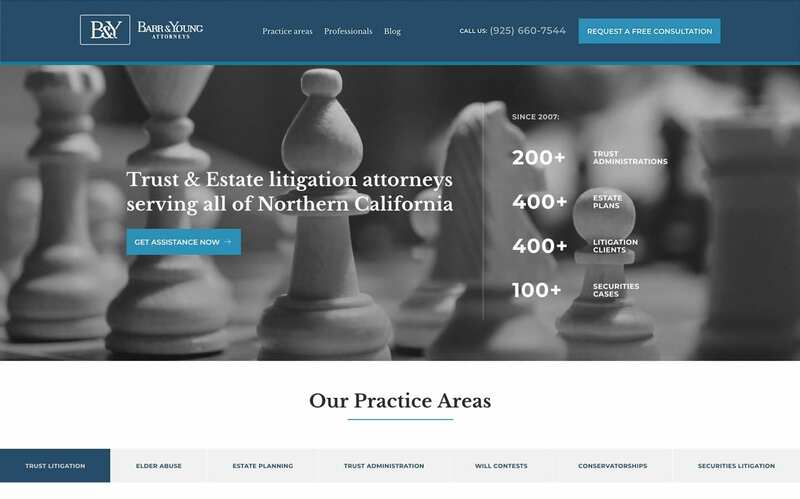 Good legal SEO is a combination of onsite and offsite optimization, but it always starts with your website. Both from a design and content perspective, there are technological and non-technological steps that need to be taken in order for you to see SEO results. 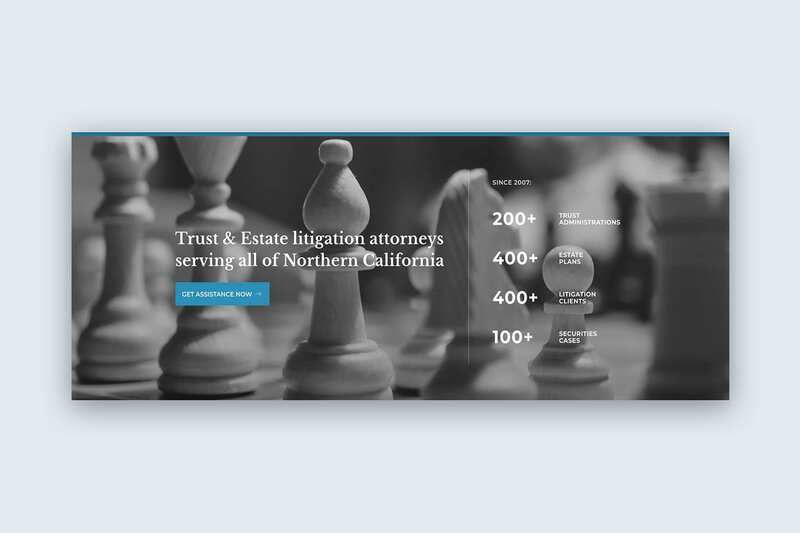 Because SEO is a big part of how we generate leads for law firms, you can read more about that service here. 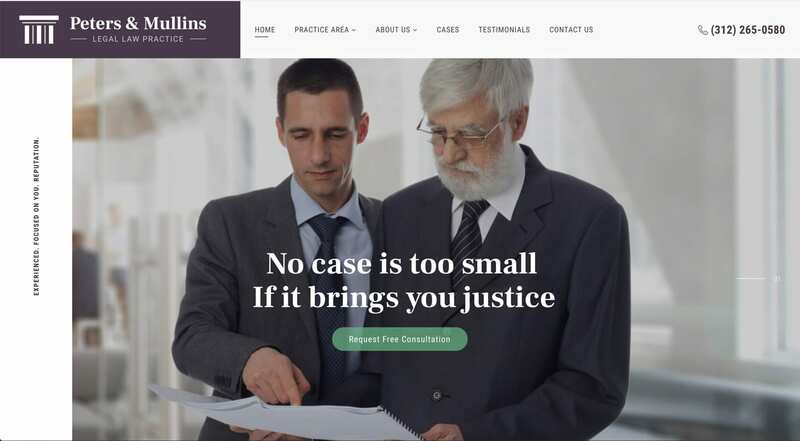 To showcase the full scope of our abilities, not long ago we created a website for a fictional law firm, Peters and Mullins Law, specializing in personal injury and mesothelioma cases. 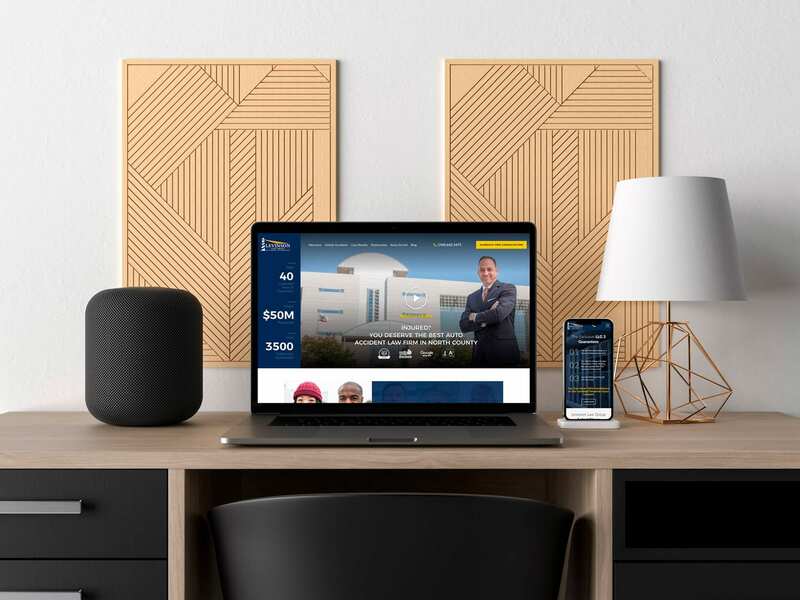 During our work on this project, we realized how important in-depth research was for designing sleek and functional legal websites with relevant visuals and content, as well as the freedom our clients give us to apply all our expertise is crucial in getting them the results they need. We’ve worked with 50+ non-fictional legal firms and we’ve always appreciated that creative freedom, which to us is nothing less than a chance to do our job right. You can learn more about the project and see the website we created here.